The Minority in Parliament has urged the government to remove the Special Petroleum Tax to reduce fuel prices at the pump and bring relief to Ghanaians. At a press conference in Accra yesterday, the Minority Leader, Mr Haruna Iddrisu, said the National Democratic Congress (NDC) introduced the tax to shore up government finances due to the dwindling world market prices of crude oil. Flanked by the Deputy Minority Leader, Mr James Avedzi, and the Minority Chief Whip, Alhaji Mohammed-Mubarak Muntaka, Mr Iddrisu said the maintenance of the tax had been compounded by a rapidly depreciating Ghana cedi “leaving Ghanaians at the mercy of the market”. The press conference was to present the views of the Minority caucus in Parliament as to the true state of the nation as against what President Nana Addo Dankwa Akufo-Addo presented in Parliament last Thursday. The Minority’s statement touched on areas such as economy, energy, health, security, job creation and education. Mr Iddrisu said the President’s failure to speak on fuel prices and the National Petroleum Authority’s (NPA’s) rationalisation of the astronomical increases “paints a gloomy picture of more hardships for Ghanaians”. He recalled that only three days ago, commercial drivers, the Industrial and Commercial Workers’ Union (ICU) and the Chamber of Petroleum Consumers (COPEC) staged a demonstration to register their protest against the unbearable hardships. “Contrary to his campaign promise to reduce the price of fuel, the commodity now sells at a staggering GH¢22 per gallon up from GH¢14 per gallon as of December, 2016. “Hardly a week passes these days without an increase in the price of fuel. We recall how President Akufo-Addo and Vice-President Bawumia responded to small increases in accordance with the deregulation of the downstream petroleum sector. They claimed at the time that such increases were insensitive and condemned the government of the day,” he said. The Minority Leader said Ghanaians were still expecting the promised reduction in electricity tariffs which the President announced at the beginning of the year. 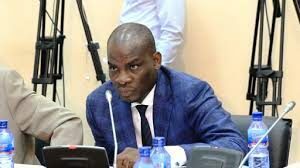 Mr Iddrisu accused the President of misleading Ghanaians by attributing the 2017 growth rate and expected growth rate this year to the economic management team of the New Patriotic Party (NPP) government. He said as far back as the middle of 2016, several international financial institutions had projected that Ghana’s economy was going to grow by seven per cent in 2017 and close to nine per cent in 2018. “The World Bank, International Monetary Fund (IMF), the Economist Intelligence Unit, among others, all indicated that additional production of oil from the TEN and SANKOFA fields starting from the last quarter of 2016 was going to result in high growth rates in 2017 and 2018”, he said. The Minority Leader said the growth rates were going to be achieved on the back of the fiscal consolidation measures adopted by the Mahama administration under the Extended Credit Facility of the IMF to correct the slippages of previous years. On job creation, Mr Iddrisu said in the lead up to the 2016 elections, the then presidential candidate of the NPP, Nana Akufo-Addo and Dr Bawumia promised the youth that the NPP administration would deliver jobs for them. “Sadly, one year on, in the State of the Nation address, the President could not indicate how many jobs were created since the NPP assumed office”, he said. Touching on education, Mr Iddrisu said the President did not articulate any concrete measures aimed at alleviating the acute congestion, deprivation and the inhumane conditions students endured as a result of the introduction of the free senior high school (SHS) education policy. He said even as the government struggled to raise the necessary funds to meet its commitment under the policy, there was virtually no word on the other levels of education. Mr Iddrisu said despite the borrowing of GH¢30 billion last year, the President could not boast constructing one CHPS compound by way of health infrastructure. Besides, he said, the President had supervised the deliberate neglect of several ultra-modern hospitals built by the NDC government under President Mahama. On security, the Minority Leader said the President failed to assure the nation of measures aimed at curbing the deteriorating security situation in the country caused by violent crime. Again, he said, “the President failed to take a tough stance on the terrorism and militancy unleashed by the many violent groups that were formed under his auspices as the flagbearer of the NPP”, he said. Mr Iddrisu said the major sour point in the President’s address was his impassioned defence of clear wrongdoing on the part of his appointees.